The Twentieth Judicial District Commission on Judicial Performance unanimously recommends that Judge David Archuleta BE RETAINED. Judge Archuleta was appointed to the Boulder County Court in June 1999. Prior to his appointment, Judge Archuleta served as a Deputy District Attorney for the Twentieth Judicial District from 1990 to 1999. He also worked for a short time in private practice. 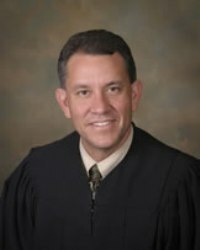 Judge Archuleta received his law degree from the University of Colorado in 1989. Judge Archuleta volunteers to teach ethics and case management at the state level every year, including presentations to the new judges and magistrates during New Judge Orientation. Additionally, Judge Archuleta has participated in the Colorado Institute for Excellence in Judicial Education and will be a member of the faculty for the event this year. In recent years, Judge Archuleta has taken a particular interest in procedural fairness as it relates to judicial officers and has presented on this topic several times on the local and state level. He is the past president of the Colorado Trial Judges’ Council and the Colorado County Judges’ Association. Judge Archuleta received unanimous support from the Commission in his last two evaluations. The Commission believes he continues to improve as a judge, and with fifteen years of experience on the county court bench, is now using that experience to educate and train other judicial officers. As the senior county court judge in the Twentieth Judicial District, the Commission continues to be impressed by Judge Archuleta’s judicial temperament, consistency, communication, knowledge of the law, diligence, and efficiency.